Are you loyal to the BMW brand? If you answered yes, we want to thank you for that with our Loyalty & Conquest Incentives Program! Every month, we will be updating the information on this page, to offer you a chance to access even more quality pricing on your favorite BMW models. This is our way of saying thank you for sticking with both our dealership and the brand as they continue to evolve. They say misery loves company, but the same goes for high performing vehicles. Our diversified lineup of BMW models features next-generation technology and high-end interiors –– and it needs you. 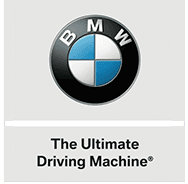 This loyalty program is for anyone in the household who owns/leases a BMW car or motorcycle or owned or leased a BMW car or motorcycle within the last 12 months. Have questions? Contact our team to learn more about our eligibility requirements. Any make of BMW Car of MBW SAV. Customer Coming out of any competitive make or model.